Welcome to Second Story, a site for grandparents who are raising their grandchildren. I am a grandparent to five beautiful grandchildren. I never thought this would happen for me, but I have been blessed daily by the love and joy these beautiful grandchildren bring to my life. I have the special honor of raising one of my grandchildren. But having this honor does not come without its share of difficulties! I thought once my partner’s children were grown up and had left the house, we were done with raising kids. I looked forward to the day when we would have visits from our grandchildren, but never imagined that we would be raising one. When we were blessed with having our granddaughter come to live with us very early on, we needed help and guidance on some levels because it had been a long time since we’d had infants in our life! We had some wonderful mentors along the way with advice about diapers and feeding and general advice on raising a little person. This is “our” second story and we hope what we have learned will be a benefit to you, as well! We want to give back to our community of grandparents raising grandchildren because of all the help we received along the way. We are lucky, we have a huge support network and live in an area which is very helpful. We also realize that not everyone has what we have. We want to help grandparents (and parents, too) with what we have learned and what has helped us along the way. We want to be able to encourage and give hope to grandparents around the world who are now tasked with this sometimes daunting duty. 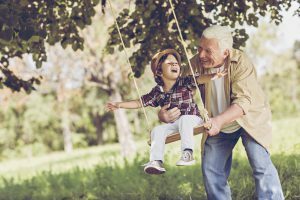 None of us are getting younger and the challenges that we face as grandparents raising children can feel a bit overwhelming at times. 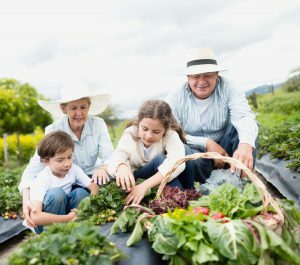 Our goal and the purpose of this website is to offer resources to other grandparents who may need, not just help with where to buy certain products, but what those things even are! We hope that by sharing our Second Story, you will find hope and encouragement as you live out yours. Great. I need all the help I can get! I hope that the site will give you help in unexpected ways! As a grandmother myself, I take my hat of to you on what you are doing. It is not easy even as you say it can be very rewarding. There is a special bond between grandparents and their grandchildren. God bless you. Thank you, Jill for your kind words. I wouldn’t change my situation for the world!